I’ve also fallen head-over-heels in love with Tom Ford’s lipstick in Wild Ginger which is so good that I’ll probably be buried with it. It’s also one of the most expensive items of make-up I’ve ever purchased (when I bought it, I let out a little squeak when the assistant told me how much it cost), but worth every single penny. Not only does it have the best lasting power of any lipstick I’ve ever used (outlasting numerous cups of tea and epic Hot Cross Bun consumption), but it’s also incredibly moisturising. If I ever win the lottery, I will buy one in every shade, and then send Tom Ford a gift basket for making what might just be the perfect lippy. Seeing as I have worn nothing bar big jumpers and jogging bottoms so far in 2015 (what? I’ve been on holiday! 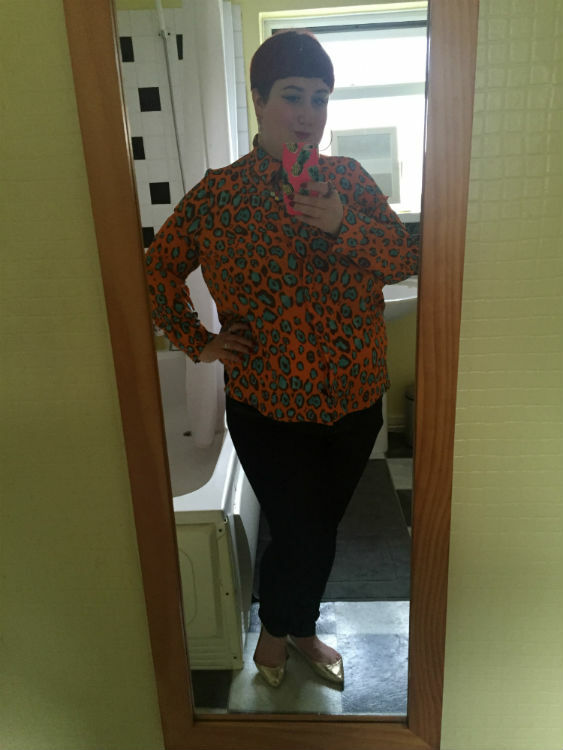 ), I thought I’d kick proceedings off by showcasing one of my favourite outfits of last year. And my bathroom. Because everyone loves a classy bathroom selfie taken on your decrepit (and quite possibly haunted) smartphone. 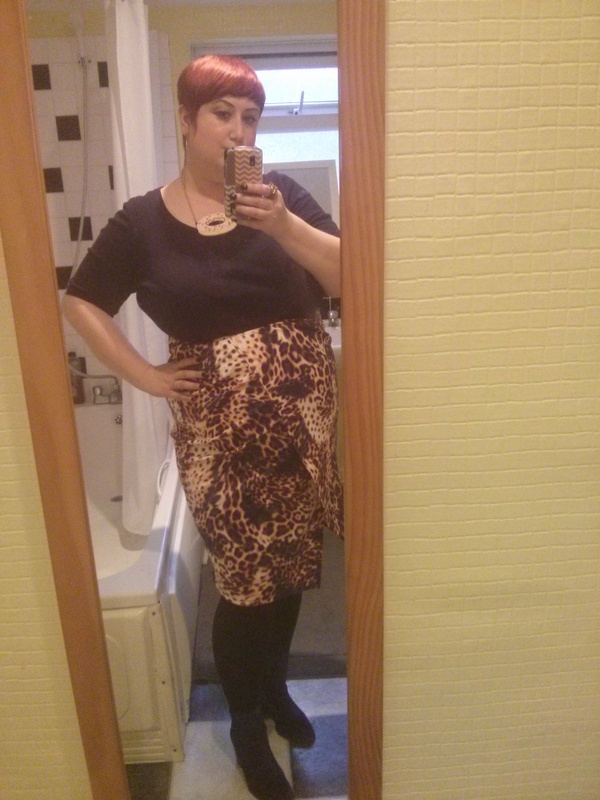 I bought this ASOS Curve animal print pencil skirt for my birthday and have worn it practically every week since then – it’s gone on dates, to client meetings at work and to visit my parents – and it’s elicited lots of compliments. The only (minor) flaw with it is that it’s cut slightly oddly, meaning you have to be careful when you sit down so you don’t accidentally flash your crotch at passing strangers. 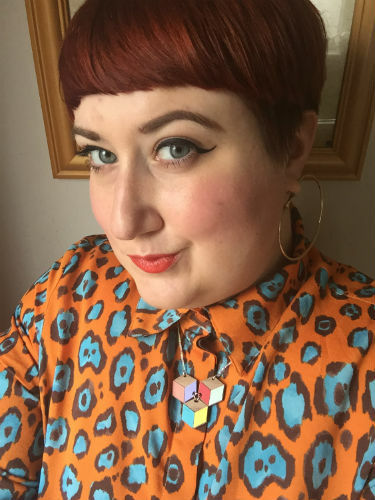 It’s on sale at the moment, and I highly recommend purchasing it if you feel that there aren’t enough leopard print items of clothing in your wardrobe. Special mention should also go to the crushed velvet Chelsea boots I’m wearing here but which (unfortunately), you can’t really see. Take my word for it when I say that their ridiculously high heels makes you feel like a glam rock superstar. Whenever I put them on, I feel as though I should be forming an all-girl Sweet tribute band. They’re also incredibly strokeable, meaning that my colleagues have taken to caressing my ankles during meetings whenever they’ve seen me wearing them.